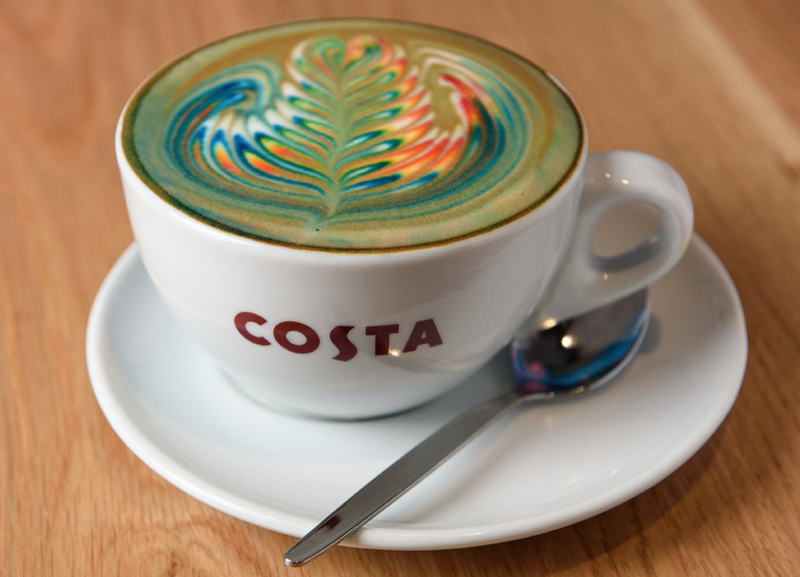 This Saturday 27th August marks the date of the Manchester Pride and Costa Coffee are launching rainbow coffee in support of Pride and the LGBT community - how cool? There is also a new tasty Summer range available, have you tasted any of these treats yet? Costa have flown the Instagram star Mason Salisbury from Las Vegas to the UK to teach our Barista's how to create the most amazing and instagrammable coffee for Pride this weekend. You can get yours from these stores in Manchester: Portland Street, 14 Oxford Street and both stores on Market Street. I'm going to be in the centre on Saturday so I'll definitely pick one up to instagram - because what blogger wouldn't? I also visited my local coffee shop to try out the new summer menu which consists of the Red SuperDay Smoothie and Roast Chicken Salad Wrap - perfect for a healthy lunch on the go. The Smoothie is made real fresh fruit which you pick up from the fridge and the barista blends for you. I chose the Red SuperDay which is grapes, watermelon and strawberry - yummy! I love that color coffee! Did it taste good? It looks amazing.